The present brick tower windmill was built 1854 to replace a post mill destroyed by fire. 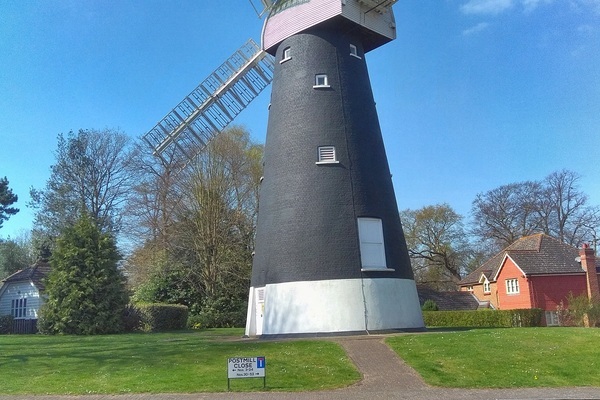 Now renovated to near-working condition, it is the only surviving windmill in Croydon. Today's tower mill was built by Richard Alwen to replace the first mill on the site built by his Grandfather William Alwen in 1808 after it was burnt by fire in 1854. By 1893, Alfred Rayson, the owner at the time, was forced to abandon the mill as unviable. After closure the mill was allowed to deteriorate, being struck by lightning in 1899 and again in 1906. There have been a number of restorations over the years, first in 1927 by George Givan who had purchased Shirley Court and the mill. In 1951 the mill and land were acquired by the Croydon Corporation from Mrs Annie Givan. The mill was threatened with demolition when the new John Ruskin School was built but it was protected by its listed status and strong public interest. 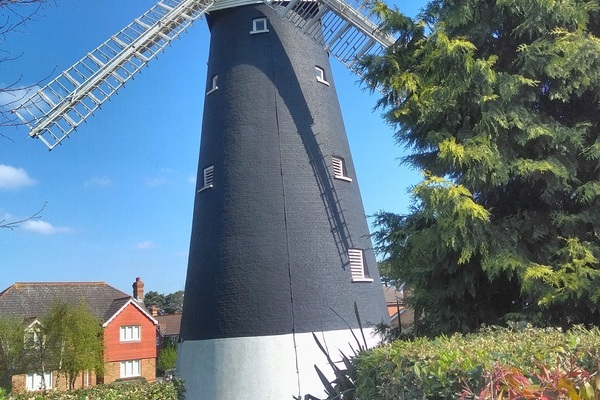 The possibility of the windmill becoming a museum had been mooted since 1977, but it was not until August 1996 that it was announced that the London Borough of Croydon was to receive a grant of £218,100 from the Heritage Lottery Fund for this. The grant money helped restore the mill to working order and open it to the public for a wide-ranging audience. Interactive touch screen information panels and hands-on displays give an exciting educational experience which meets the needs of the National Curriculum for school parties, and an enjoyable day out for the general public.